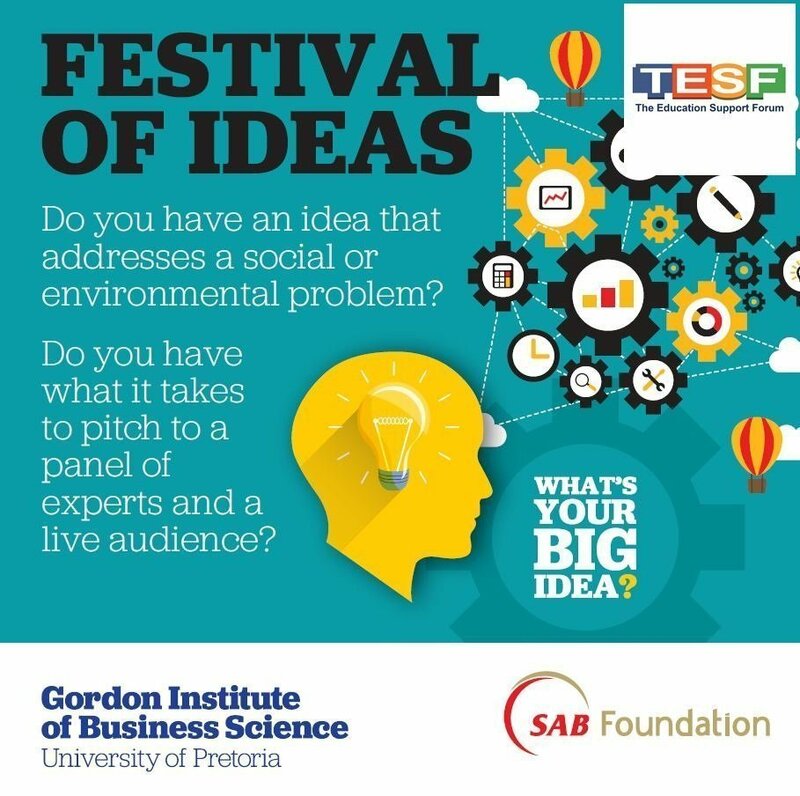 The Education Support Forum (TEDSF) is proud to be associated with the annual entrepreneurship competition entitled “Festival Of Ideas” run by the Gordon Institute of Business Science (GIBS) in Illovo, Sandton. TEDSF will showcase the entrepreneurs on their podcast platform in a bid to promote these young businesses. It is the vision of TEDSF that small business owners and their entities should get as much exposure as possible regardless of financial challenges. “TEDSF is committed to exposing upcoming businesses to possible partners and clients through our podcast channel called the “Entrepreneurship Zone which is syndicated to many platforms including iono, Spotify, ITunes, Spreaker, Acast, TuneIn among others. TEDSF is a leading pan-African research and implementation organization committed to improving employability and entrepreneurship in Africa through robust research, sustainable interventions and effective partnerships in the information, communications and technology sector (ICT). Entrepreneurs from various industries have sent in their applications for consideration and the response was a resounding success. More than 300 entrepreneurs heeded the call for the Festival of ideas competition and judges had a tough time selecting the 50 entrepreneurs who are set to pitch today (21/11/2018) wherby the top 12 will proceed to the next round. The competition was open to entrepreneurs with business ideas that address a social or environmental problem. The GIBS Entrepreneurship Development Academy together with their partners SAB Foundation and TEDSF are giving away up to R 50 000 in cash prizes! Below were the competition rules and terms. Send a two-minute voice note of your idea on WhatsApp to 063 611 8494, include your full name and email address. Entries close on 15 November 2018. A second shortlisting will take place on the Workshop day and 12 candidates will be chosen to pitch to our funders on the main event. The main event will be held at GIBS on 28th November, where the top 12 finalists will pitch their ideas to win a share of the prize money. No cash will be given on the day of pitching, your banking details are to be sent and the money will be deposited in your account. GIBS and its partners reserves the right to use the winners and their ideas for promotional and research purposes in any manner it deems fit without remuneration being made payable to the winners. All competition participants must be over 18 years of age. Next articleCan Technology Solve Earth’s Biggest Problems?